Engineered with 21st century demands in mind, JAVS provides high resolution audio video technology, digital court recording, evidence presentation and more. From small and portable, to fully-integrated and installed systems, JAVS will help you design a system that fits your needs and meets your budget requirements. Many state and local courts are already using digital courtroom av technology solutions to make their courts more efficient. It’s cost effective and requires limited interaction—allowing courtroom personnel to focus on other duties. JAVS has all the tools you’ll need from start to finish to bring accurate, professional and easy-to-use technology capabilities to your courtrooms. We provide the hardware, software, and unmatched customer service to make sure you’re getting the most from your components. Contact us today for a free AV consultation and let us help you create your ideal courtroom. Video: Judge William Knopf (Ret.) talks about the impact that JAVS solutions have made on courtrooms in the Commonwealth of Kentucky. Our AV processors are the smartest in the land. Our flagship system monitors all microphone inputs and automatically switches the video feed to focus on whoever is speaking. This allows your court staff to focus on their jobs, and let the digital recording handle itself. Whether you need a simple teleconferencing setup for translators and witnesses, or a fully enclosed tamper-proof solution for inmates in local jails, we have an array of options that can be tailored to fit your exact needs. Attendees in your courtrooms need to hear the proceedings. We are experts in making sure that everyone in attendance has that opportunity. Our systems can also keep conversations at the bench private (when needed) with white or pink noise outputs. 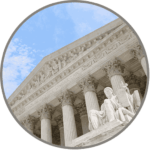 Should you choose to save the proceedings from your courtroom in a digital format for easy review, our team is ready to partner with you and build a system that stores your proceedings in an accessible and secure manner. Offering both digital and analog playback, the Evidence Presentation System has touchscreen capabilities that allow for on-screen annotations. Display images over projectors or flat screen monitors from a variety of portable devices. Our FlexMic can be centrally controlled through our innovative software control panels - change the pickup pattern, feather-touch pushbutton functions, as well as gain and muting. We all know your courtroom needs monitors, projectors and more, but it's a complicated process figuring out what inputs you need and how to get everything hooked together as one system. Let our design experts do the heavy lifting for you, and let you focus on your expanding caseload. What good is having a digital recording of your proceedings if you can't access it via your court management system? That's where we come in. Our systems can be customized to work with your setup, so that you don't have to worry about looking for case elements in different places. As the world goes digital, more and more courts are keeping up with the times by offering live streaming of select courtrooms. But if someone isn't available, or a case needs to be reviewed, we give you the system that can provide the full digital recording at the touch of a button. Digital AV systems represent a huge investment of not only budgetary dollars, but commitment from your organization to provide everyone with equal access to your system. Ensure that it always performs at the highest levels with one of our maintenance & support programs. Ensure that everyone in your courtroom can hear the proceedings. With JAVS systems, all audio systems can be routed to an assistive listening system, so that no one misses out on anything. Just need some microphones and a way to project the audio throughout your courtroom? No problem, we've got you covered there too. Contact us today and our design team will help you come up with a solution for your specific needs. The Commonwealth of Kentucky is best known in the United States and around the world for its tasty bourbon, fast racehorses, and Kentucky Fried Chicken—not for courtroom technology. But in the early 1980s, a general jurisdiction trial judge from rural Kentucky had an idea that revolutionized our court system. 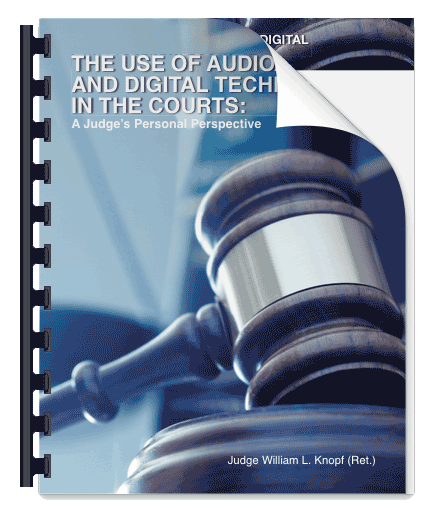 Learn about the evolution of audio/video recording in Kentucky's, and how its impact not only made courtrooms more efficient, but is saving Kentucky taxpayers over $27 million dollars a year. Rosemary Moore, RSM, talks about the responsibility that we as a company feel when it comes to responding to the needs of courtrooms and government agencies. Gabe Schmitz, RSM, elaborates on the advantages of partnering with JAVS for your AV integration and digital recording needs. Mark Naiditch, Chief Hardware Engineer, on what it takes to develop new technology for the proprietary JAVS lineup of courtroom recording hardware.